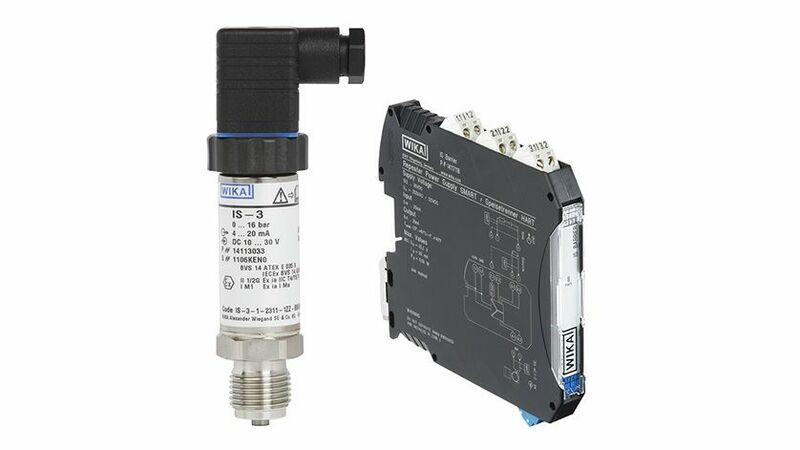 Within the European Community, intrinsically safe pressure sensors may only be used in hazardous areas if they are installed in conjunction with an Ex barrier. The combination of pressure sensor and Ex barrier must meet the “Proof of intrinsic safety” in accordance with the 94/9/EC ATEX directive. Not all combinations of sensor and barrier from different manufacturers fulfil this condition. On the one hand, it may be that the safety or Ex characteristic values ​​do not match, on the other hand, the functional characteristics ​​must also match your application. So, even if the safety-related data match, the pair of Ex barrier and pressure sensor might not match since, for example, both components work “passively”. Therefore, you should make sure that you only use barriers and sensors together whose safety-related data and function-related data match each other. We therefore directly recommend, in our intrinsically safe pressure sensors’ data sheets, a potentially compatible intrinsically safe Ex barrier. If you have any further questions, our sales department will gladly offer you a detailed application consultation.